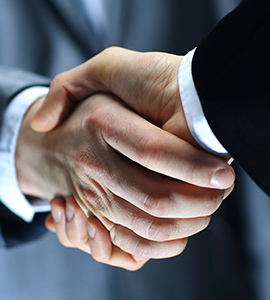 The middle market mergers and acquisitions advisors at Transworld M&A are here to help if you would like to buy or sell a business. We stand by our clients through every stage of the transaction process, and we even help during the transition and beyond. One of the things that sets our middle market M&A advisors apart from many others is the strength of our network. Our partner is Transworld Business Advisors. This highly regarded company was originally established in 1979 in Fort Lauderdale, Florida. Because of the immense success that they had early on, Transworld was able to expand outward. The growth was rapid, and at this point, there are more than 100 Transworld offices in 32 states and a number of foreign countries. As you can imagine, a vast network of buyers and sellers has developed over the years. When our middle market mergers and acquisitions advisors represent a client, we have access to this powerful global network. This gives us a decided advantage over other middle market M&A advisors. Anyone can make claims about success facilitating middle market mergers and acquisitions. However, at the end of the day, it’s all about results, and we have established a very strong track record. One of our most lucrative sales involved a printing business. We used our vast marketing capabilities to identify a willing, qualified publicly held buyer from the United Kingdom. Our middle market M&A Advisors negotiated a selling price of $39 million. When a major distributor of imported fine foods wanted to sell the business, they engaged our middle market mergers and acquisitions advisors. Their trust in us was rewarded when the company was sold to a billion-dollar strategic buyer for $27 million. Other major deals include a $20 million sale of an engineering firm, and an $18 million events and catering venue transaction. These are just a few of the many middle market mergers and acquisitions that we have facilitated. Contact Transworld M&A Advisors Right Now! As you can see, when people choose our middle market M&A advisors, good things happen. If you would like to buy or sell a business, we would be more than glad to discuss your objectives with you and arrange the next steps if you would like to go forward. You can send us a message to establish the connection, and you can alternately give us a call toll-free at 888-864-6610.